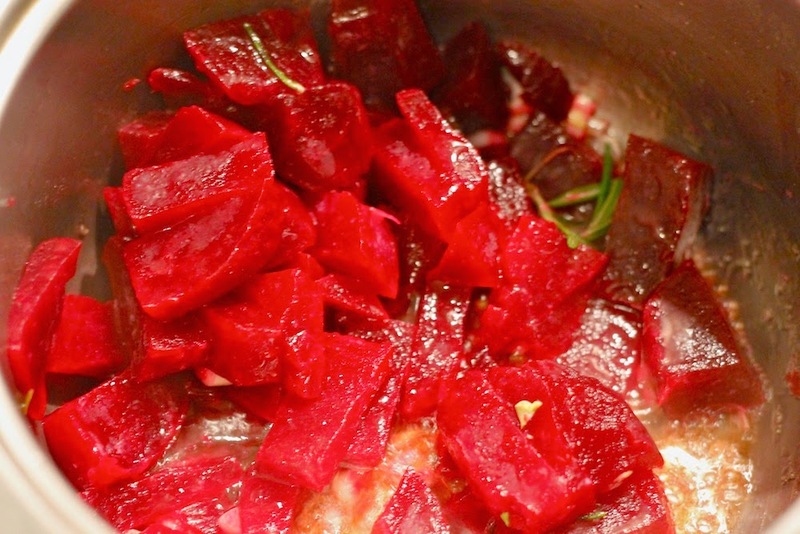 For the purée square the red beet and chop the garlic cloves. Peel the potatoes, square them too and boil them in salted water until they are soft. When the potatoes are soft heat up the butter in a pot, add the garlic cloves, the reed beet and the rosemary. Check, if the red beet is already soft. If yes, add the double-cream and after some minutes also the potatoes. Mash everything with a hand-held blender and salt and pepper to taste. Heat up about 1/2 l water in a pot and bring it to boil. Add salt and the Brussel sprouts and let them boil until they are soft (but not too soft - they should still be firm to the bite). 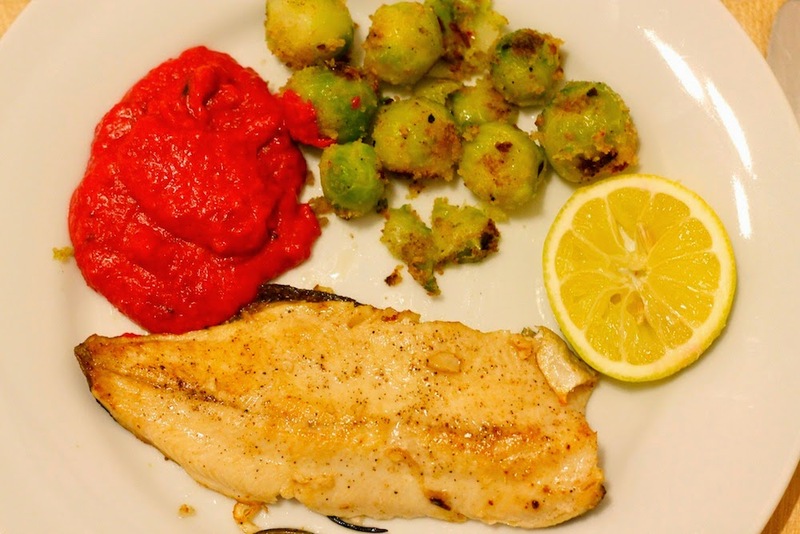 While the sprouts cook, we can wash our fish filets under cold water and afterwards salt and pepper them. Heat up some oil in a pan. 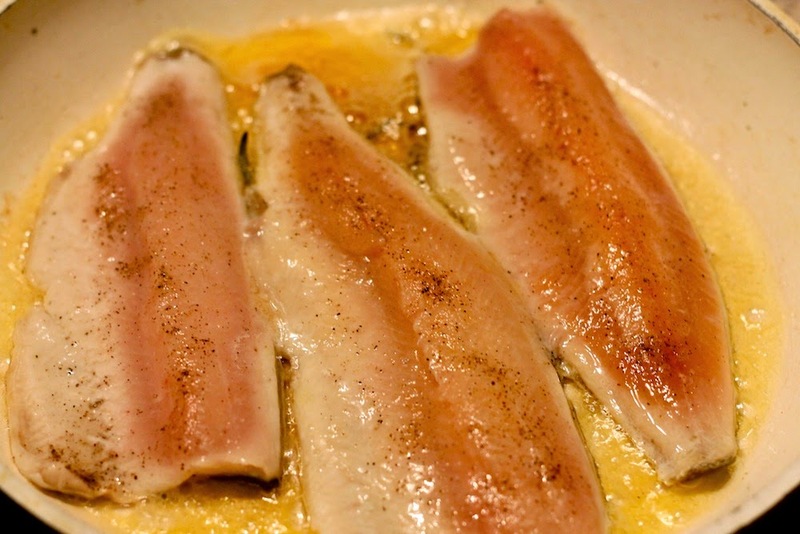 Put the filets into the oil with the fish skin's side first. 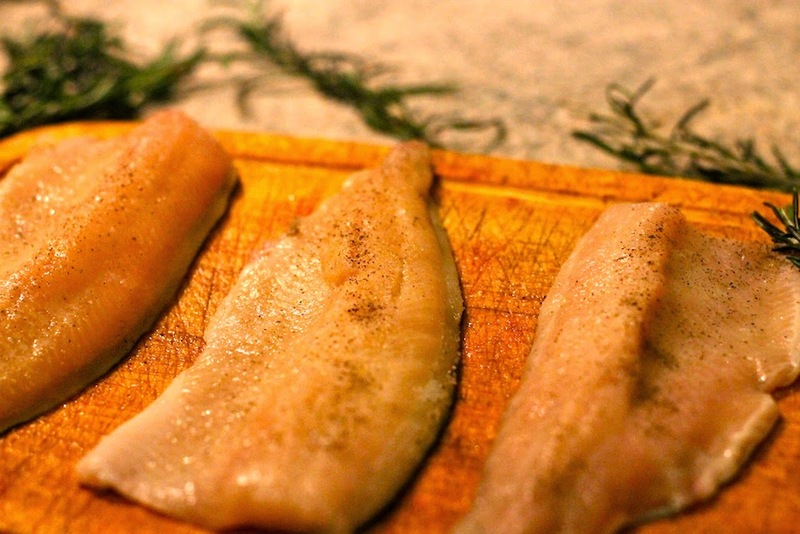 That is important, because this way the skin will get crunchy but the rest of the fish won't become dry. After 2-3 minutes sprinkle some lemon juice over your filets and turn them round for another 3-4 minutes. 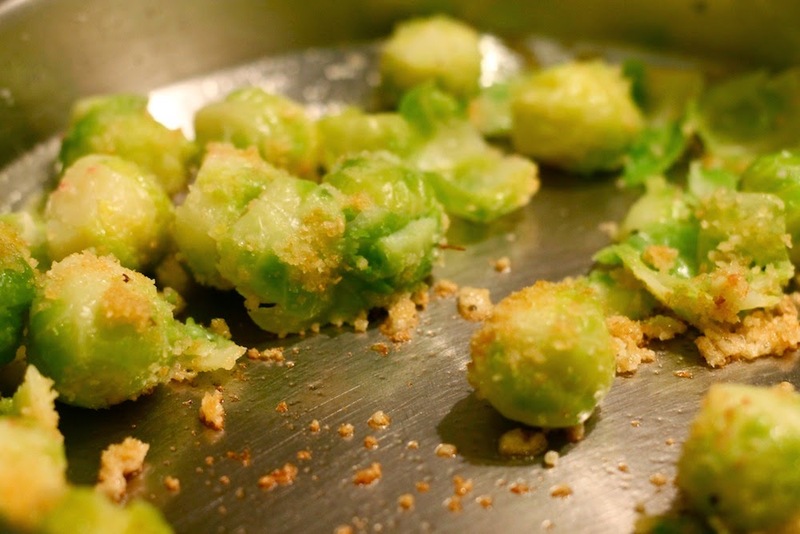 For the Brussel sprouts heat up the butter in a pan and roast the breadcrumbs until they are crunchy. Toss the sprouts in the butter-breadcrumbs-mixture and salt and pepper to taste. 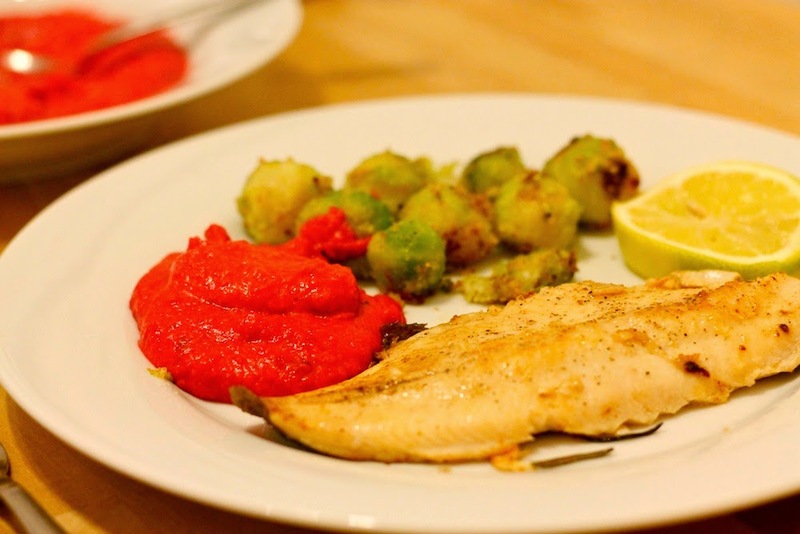 Serve the fish together with the purée and the Brussel sprouts and enjoy!